MoistTech developed the 3000-IP67 online NIR sensor to withstand wash-downs, dusty / dirty environments, and to protect it against the effects of immersion. Its rugged stainless steel enclosure makes it ideal for the harshest environments, aggressive process applications and the industry’s extreme temperatures. IP67 include an integrated air vortex or liquid cooling system that is rated from 0°C to 93°C (200°F); additionally, insulation wraps are available. Insensitive to material variations such as particle size, material height and color, the IR-3000 provides continuous, reliable readings. It’s one-time calibration, maintenance free, drift free optical design allows operating personnel to confidently make immediate process adjustments based on real-time measurements. Production efficiency improvements due to accurate real-time measurements provide both energy savings and potential increased productivity with lower material losses. The IR-3000-iP67 uses state-of-the-art components allowing installation in the most extreme locations. 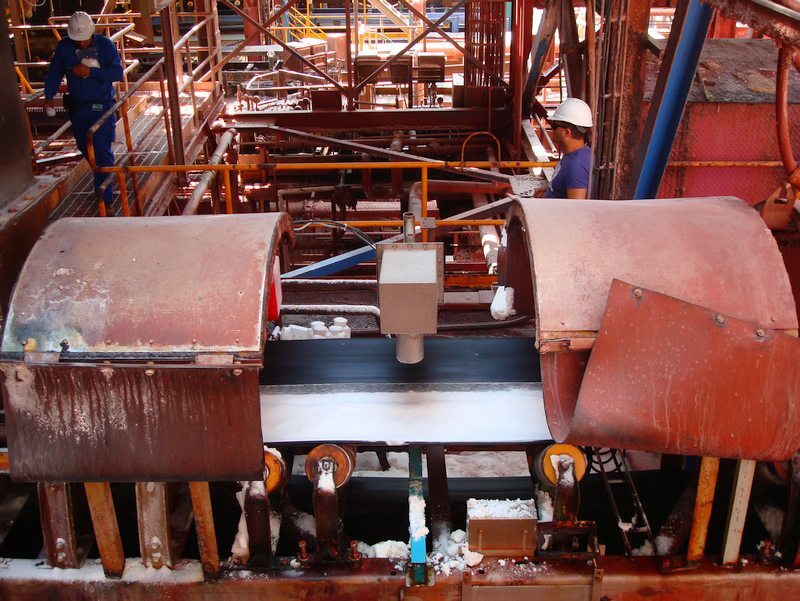 As result of MoistTech’s advanced digital processing, only the IR3000-iP67 provides true data regardless of gaps and interruptions of product flow on the belt or screw conveyors. All molecular bonds absorb specific wavelengths of light. Hydrogen bonds including O-H (water); C-H (hydrocarbon) and N-H (ammonia) all absorb strongly in the NIR spectral region. The amount of NIR energy reflected at a given wavelength is inversely proportional to the quantity of absorbing molecules in a product. The NIR technique is a non-destructive, non-contacting measurement. MoistTech’s sensor utilizes multiple wavelengths of NIR light, projected onto the product at a very high repetition rate. The reflected light is then measured using a digitally enhanced detection system and thousands of data points are sampled every second. MoistTech has designed a suite of high-tech Windows™ programs to provide user-friendly interfaces for configuration, data logging, and monitoring of diagnostics. With this you can perform calibrations, define gauge and measurement parameters, and set-up and configure up to 50 different product codes. The MoistTech Software package is easy to use and compatible with any PC platform. In addition to the MoistTech management software, MoistTech offers several read-out options to display and/or adjust the measurement outputs.